Pharmaceutical companies are challenged with increasing competition, the pressure to increase revenue and growth while improving innovation, and the need to align with constantly changing FDA and cGMP rules and regulatory requirements in a global business environment. 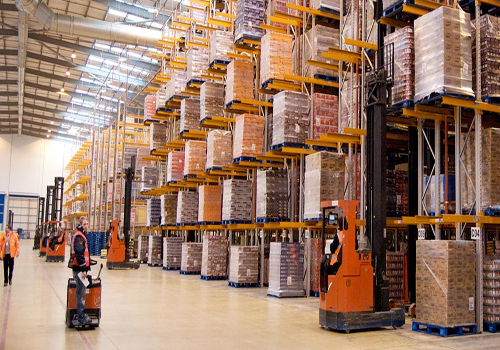 An effective and agile warehouse management software plays very crucial role in this. Our Pharmaceutical warehouse management software empowers to reduce operating costs and increases transparency while at the same time integrates industry specific processes. As the use of warehouse management software was not prevalent in the past so companies used to follow manual and paper based processes to manage warehouse. Once received via printer, orders are picked, packed and shipped, with a paper trail tracking every step of the process. That information is then manually entered it into the system and filed which resulted in delayed access to information in the system, inaccurate information, miss-shipments, late invoices, difficulty locating items as they are moved within the warehouse. Warehouse management in the Pharmaceutical Industry has its own set of unique rules that have to be adhered to, in order to stock, pick, and ship product in a way that conforms to the many regulations that the market sector demands.PharmaNET understand the warehouse management requirements of the Pharmaceutical sector, resulting in fully functional systems that ensure that stock is always handled, not only in the correct, but also most efficient and cost effective manner.Efficient and agile Pharmaceutical warehouse management software is vital to improve inventory control, shipping and receiving, to order fulfillment. PharmaNET offers warehouse management software which can combine with wireless network, mobile computers, radio frequency identification (RFID) technology.Our Pharmaceutical warehouse management software can help fully extend your enterprise to the mobile worker, while increasing operational efficiencies and enhancing your customer service.Our goal is to ensure that your company meets compliance standards protecting consumer lives and your brand.